We love to alert you to charity projects, here at 18thWall. We also love to interview authors, and find out the story behind their stories. 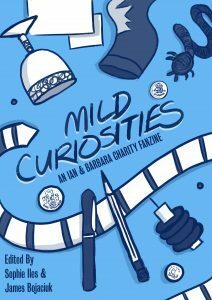 So it’s our pleasure to speak to the writers behind the charity anthology Mild Curiosities, edited by Sophie Iles and James Bojaciuk. It’s a look into the world of early Doctor Who, specifically focused on the first two companions: Ian Chesterton and Barbara Wright. The fanzine is available to buy now for £4.99 on digital download, which includes a PDF, mobi and epub formats. You can get in digital here! Physical copies can be pre-ordered for £19.99. You can get it in print here! A digital and physical package can be gotten for £21.99, which gets you both the ebooks and the print pre-order. You can get both here! Which Ian and Barbara story (any medium) is your favorite, and why? I personally love The Aztecs for any and all characters of that era of Doctor Who. Pure historicals are something we don’t get much anymore, where you’re simply called upon to observe the state of things rather than to watch anyone “save the day.” It was also one of the first times Barbara as a character really started to show her different facets for me. It might be impossible to narrow down a list of favorite stories that happen to include Ian and Barbara; the number of first rate serials, audios, books, short stories, and, now, charity stories, featuring them is perhaps higher than any other companion’s. it’s much easier to choose favorite stories that are specifically about Ian and Barbara as people, but then I can still rattle off a dozen without much effort. Ian and Barbara-focused stories, however, that always pull me back for more include The Aztecs, The Edge of Destruction, The Time Travellers, The Rocket Men, The Transit of Venus, and The Invention of Death. The Rescue. One of my favourite Doctor Who stories in any medium, really. The story is captivating, the effects are top-notch (few model shots anywhere look as good as that crashed ship), and it’s the introduction of my favourite companion, Vicki. 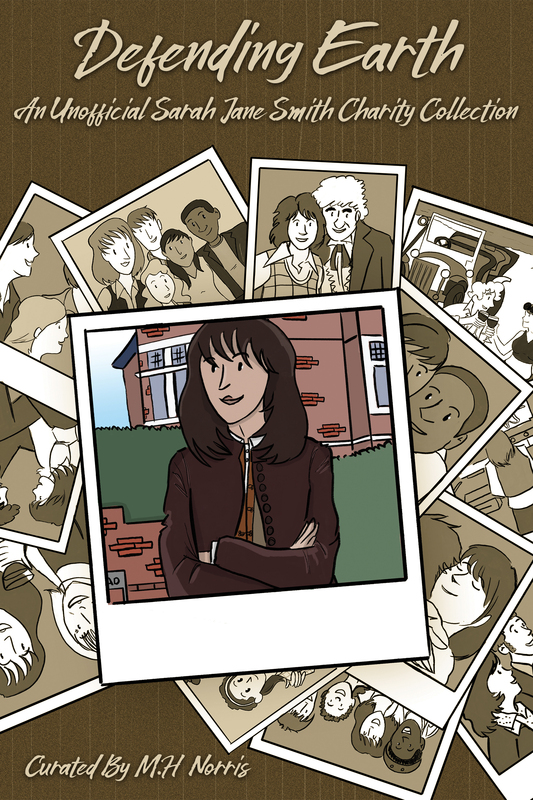 But above all, it’s a story that encapsulates the familial aspect of Doctor Who. Ian and Barbara welcome Vicki as one of their own moments after meeting her. Even the Doctor is visibly warmer than he has been for much of the show thus far. All of which is a stark contrast to the man supposedly responsible for Vicki herself. 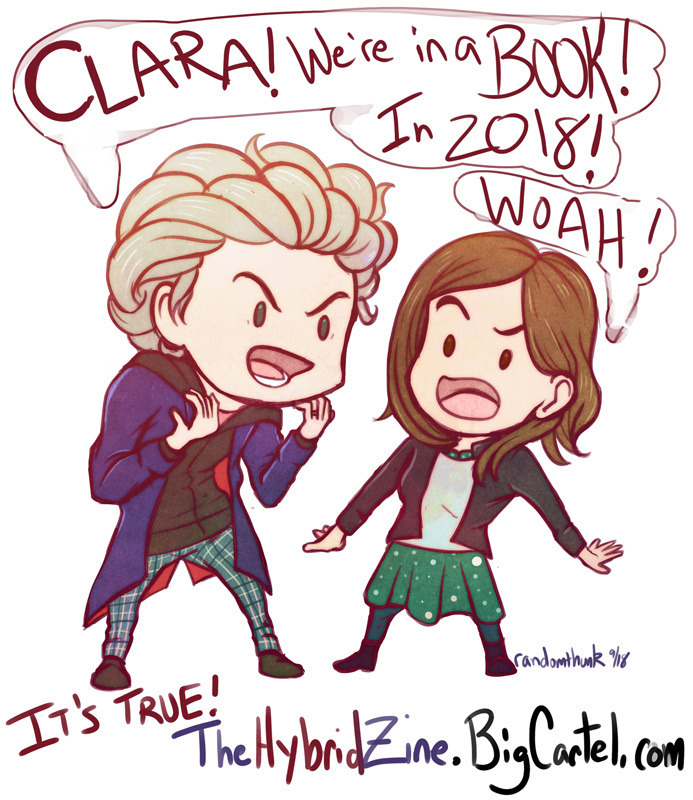 It’s good science fiction, good Doctor Who, and a plain old good time. I’m a sucker for Hartnell historical stories, but I’ve managed to narrow it down to two! Marco Polo is my favourite Doctor Who with Ian and Barbara in it. It’s the first time the TARDIS team properly enjoy each other’s company – coming after Barbara gave the Doctor a good telling off in The Edge of Destruction. The sets and costumes all look amazing from the telesnaps, and the dialogue, music and performances are first class. The best Ian and Barbara story has to be The Romans. In one of her lesser moments, Barbara accidentally knocks Ian unconscious with a vase, inadvertently leading to all their troubles! I find it fantastic that the pair have a truly epic adventure, without the Doctor even realising they’ve been away. Probably The Aztecs – it’s one of the few stories that actually focuses on the companions, and both Ian and Barbara play absolutely pivotal roles. An Unearthly Child. It’s the one that started it all. I watched the episode for the first time a few years ago and felt a renewed appreciation for the show. I could understand why people had fallen in love right from the off. I’d have to say The Romans. While the Doctor and Vicki are off having their romp, Barbara and Ian are thrust into horrible ordeals. They both show their strength, physically and mentally. And in the end, they’re able to bounce back and keep on laughing. My favourite Ian & Barbara story is probably David McIntee’s novel, Face of the Enemy. My favourite Ian and Barbara story is in all likelihood Planet of Giants. After shrinking down and ending up in the regularly sized house of a callous scientist at only an inch’s height, Ian and Barbara spend much of the serial together. Barbara accidentally gets a dose of the scientist’s overly strong pesticide when she touches a seed coated in it, leading to her becoming ill. She doesn’t tell Ian at first so he doesn’t worry so much that they cannot progress. Ian is unaware of this impending danger, keeping with Barbara as they try to figure out how to get away. This episode is a great showcase of how close Ian and Barbara have become; Ian immediately goes to Barbara when she faints at the sight of a giant fly, and when she finally starts to succumb to the effects of the poison, Ian keeps very close to her side and does what he can to aid her. It’s a fun serial, and it has an interesting premise, but one of the definite highlights is Ian and Barbara’s interactions. My favourite Ian and Barbara story is The Aztecs. Barbara, the rock of the TARDIS crew, is wrestling with a dilemma of whether to help save the people she’s met, the individuals she’s befriended, from the upcoming Spanish invasion. Ian, amidst much fighting action, shows his softer side re the Doctor’s accidental romance and quietly saves Barbara (who he doesn’t have much screen time with) from being poisoned by the priests. They are at the core of, for my money, the greatest story of the original TARDIS crew. Whenever we need a great Ian and Barbara serial to watch we always go for The Romans as it’s full of so many great moments, especially for the two of them. We get to see them at their most relaxed and playful in the villa when Barbara is combing Ian’s hair or Ian tricks Barbara about the fridge. But in the same story we also see them at their strongest, when they’re being brave and finding their way to one another despite all the obstacles. The Doctor doesn’t even realise all they’ve been through and they’re able to laugh about it at the end. It just goes to show how capable and strong they are. Ian and Barbara are such different, yet complementary, people. I’ve always wondered what common link finally brought them together as strongly as we see them. “Touch the Stars” is admittedly largely fluff—the two of them figuring each other out when Ian starts working at Coal Hill—but it was also an opportunity for me to find the links between them when it came to curiosity and intellect and the sense of wonder that would eventually bring them into Doctor Who. More than anything else, I wanted to explore the Hartnell era straight historical. In 1565, a Basque cargo ship sinks with Barbara and the Doctor on board. In a choking, all-consuming snow storm, Ian and Susan have to keep flames alive to draw the “lifeboats” to shore. Finally returning to Earth in the mid-1960s, the TARDIS team comes into contact with a fantastic quartet of super-powered individuals. Before the friends can say their goodbyes, the Doctor is whisked away, along with a member of the superhero team. Speaking to the three other team members reveals that a vast, apocalyptic force is swiftly approaching Earth. Both groups of friends must co-operate to deal with the encroaching threat, in a full-length Doctor Who adventure spanning Earth, the Moon, and far beyond! When Vicki joins, she has an endearing habit of ‘adopting’ alien creatures – from Sandy the Sand Beast (The Rescue), to Zombo the Zarbi (The Web Planet). She even gives the Chumblies their name in Galaxy 4. The concept was pretty simple – Ian and Barbara return home two years after they left. While on the bus, they half-heartedly mention that they’ll have to come up with an excuse for being away from work for two years… and that’s it! Now, “half-hearted” is probably quite a good summary of The Chase as a whole, but this bit always bugged me. They were not only away for two years, but they were essentially removed from the timeline entirely while they were travelling in the TARDIS. So… what if someone else noticed that? What if there was some kind of agency that monitored irregularities in the time/space continuum? From there, it was obvious Ian and Barbara would get a visit from a strange pair soon after coming back to London, 1965. My story takes place right after Barbara and Ian make it back home. I deal with the direct aftermath of their departure and the emotions that ensue. I wanted to explore their feelings and see how they grapple with the decision to leave all of time and space behind in favour of the slow path. Shortly after Ian and Barbara return to their own time, Barbara finds herself struggling with adapting to normalcy. However, the result is nothing close to what they would’ve expected. My story has a married Ian & Barbara, three years after returning to Earth, on holiday in the South of France and encountering strange time travellers. My story is about the moment where Ian and Barbara’s son, Johnny, realises what he actually wants to do after years spent moving from hobby to hobby – be a musician. I wanted to write about it because it’s always an interesting moment when someone suddenly realises what they want to do. It also gave me a chance to show some of the dynamics between a young Johnny and his parents. Just cute family stuff. I wanted to explore the impact of TARDIS travel on them, both during their time as companions and also the after-effect. Also, I’ve had a soft spot for their son, Johnny Chess, since the New Adventures days. I remember the first time I watched The Web Planet and being struck by how isolated the TARDIS crew were, that this was a time before the universes was teeming with allies, that they were having to rely on their wits just to survive. This was what I tried to capture in my story. Our story is called “The Kidnapping of Johnny Chess” and is about Ian and Barbara’s son John (the pop and rock star from the expanded universe). It begins with John recalling a story to his daughters about a time when he was on tour in the 1980s and ran into his parents when they were young. Oh, and there’s some aliens too for good measure, as well as the wonderful Doctor and Vicki. But really at its heart, it’s about the way John sees his parents as these heroic time-travelling figures and what they mean to him, how he trusts them, and how they’ve inspired him over the years. What is your favorite part of your story and why? I’ve never written at length for Ian or Barbara before, so attempting to get their voices was a challenge. I think my favorite bit is their first meeting in the hallway, if only because it’s when I started to get a feel for their interaction with each other. I’m not fully there yet, especially as compared to so many other amazing writers canonically and elsewhere, but Ian having his 4 P.M. Wall Stare gave me a giggle, at least. Ian Chesterton has a unique narrative voice, at once intimately friendly and off-hand as well as careful and polite. This is mainly thanks to Big Finish, and particularly Jacqueline Rayner and John Dorney, who have bequeathed Ian with his own immediately recognizable style. That this was done so well, and so completely, with only Ian’s television dialogue to work from is incredible. It was a pleasure to try and capture Ian’s voice, and tell the story through his own words instead of my own. Because of that, my favorite part of the story is the frame narrative. Ian Chesterton tells you – yes, you, in particular – about his adventure, and what happened on when visiting a memento of the adventure. Whatever effect the conclusion has is thanks to Ian’s narrative voice. While the story has quite a few characters to split its time between, this is still a book about Ian and Barbara. As such, it’s fitting that my favourite moment of the story brings them both into the limelight. Without giving too much away, the pair of them, along with Vicki, are wandering through the abandoned ruin of Times Square. They hear a lone voice among the rubble, crying out for help. Without hesitation, they rush to help this unknown stranger. Much of the story is concerned with grand, larger than life superhero excitement, but this is really the moment where the time travellers prove the value and resilience of basic human kindness. I decided it would be fun to write “The Stowaways” in the style of Bill Strutton’s Doctor Who and the Zarbi – the second Doctor Who novelisation ever to be published. This gave me an excuse to refer to the character as “Doctor Who,” and call the creatures “Venom Grubs” (which is a much better name than they had onscreen!). As research, I greatly enjoyed re-reading Doctor Who and the Zarbi. Far from being a lazy cash-in, Strutton expands and improves on his original TV scripts. The novel delves into the characters’ innermost thoughts (including Ian and Barbara’s) in a way that later writers might have felt less comfortable doing, once the series had become better established. Admittedly, it would have to be the bit where Ian confesses that he’d actually miss the Doctor. That always makes me chuckle. I love the bit where the Doctor shows up. Writing Barbara’s reactions to any of the Doctor’s ridiculous shenanigans is pure delight. My favourite bit is my sneaky reference to a favourite Doctor Who baddie actor, in a role he played memorably in another 60s series. My favourite part of my story is when Johnny makes a makeshift ‘guitar’ by driving nails into a wood board and tying guitar strings to it in order to practise finger positions without the sound. It’s an important show of dedication that he keeps using it just to nail down the correct holds without the feedback of actual music; it gives a glimpse at the commitment, passion, and drive he has to have in order to become the rock star he ends up being as an adult. Without wishing to spoil, there is an aspect of the TARDIS that the story explores, which I’ve long been fascinated by and wanted to delve into. Also, having spent time in Australia (where the story is set) I wanted to inject a fair amount of authentic Australiana in there and pay homage to one of the show’s largest oversea fandoms. My Aussie other half didn’t complain about the references so I hope this Pom has done alright on that count. The conversation between John and his younger parents. Ian and Barbara of course don’t know of their future and don’t realise John’s significance but they feel a connection to him nonetheless. Johnny can’t help but mess with his parents, making hints about them being a couple. We really enjoyed writing those aspects and always love the little moments between characters where you can really get inside their heads. Why do you love Ian and Barbara? At a time when the show was just beginning and was almost certainly never intended to live on for 56 years, Ian and Barbara were this amazing encapsulation of what the show was meant to be. History and science, intellect and action, logic and silliness. And the fact that this entire adventure came about because the two of them were both caring and curious. In a lot of ways, their relationship really is the show. And so they created the S.F. show by their own design, breathing their early characters with fully-conceived life. But there is another Chesterton to consider: G.K. Chesterton. In a paradox that would tickle G.K. Chesterton pink – they’re not ordinary people made special by seeing the universe; they’re ordinary people who made the universe special by how they see it. Chesterton treasured the metaphor of a man who goes around the whole world only to arrive home, finally seeing the excitement and wonder that were always hidden there. Ian and Barbara are the man and woman who went around the whole universe only to arrive home, seeing their home for all the “London, 1965!” wonder it contains. Actually, that last statement is what makes them so wonderful. They’re both two perfectly ordinary human beings. Morals hardly even enter their minds. Ian and Barbara aren’t the noble companions aiding an ancient and unknowable hero of the universe. They’re two ordinary people who help those in need, because not doing so is unthinkable. Ian and Barbara belong to a rare breed of Doctor Who’s friends that feel 100% like real people. It’s in large part down to Jacqueline Hill and William Russell that these are characters that you want to spend even more time with. They begin as very strait-laced, sensible adults, with an encyclopaedic knowledge of science and history. Much like the Doctor, they learn to let their hair down and enjoy their travels. Due to stories running for weeks at a time, we are able to appreciate how much these characters care for each other through short but meaningful exchanges, interspersed throughout the adventures. I think they’re the two best companions the series ever had. Smart, capable, full of agency. It’s easy for us now to forget that the show was as much about them as it was about the Doctor when it first started, and while William Hartnell was a movie star, William Russell was a TV star – thanks to Sir Lancelot, he might even have been the bigger name. But all of that nuance is lost in the mists of time, now. Ian and Barbara defined the role of the companion, and things were never the same after they left. I think my love for them is rooted in the fact that they were the first. That they were literally anyone, who walked into the TARDIS, not knowing what to expect and took everything with a grain of salt and on the chin. They embraced the strange and foreign with grace. Ian and Barbara are ultimately the reason we have the Doctor that we have today. They were the Doctor’s first real humans. They showed him how to trust, and they taught him the importance of friends. They were put through the ringer the second they met the Doctor and still stood tall and braved their way through. Ian & Barbara are probably the most real everyman characters that have ever been in Doctor Who. You can completely believe in them as real 60s teachers. The fact that they are also genuinely likeable people, full of compassion and intelligence, with a developing but understated love for each other, makes them very special. The first Dr. Who is one of my favourite incarnations – in the top three. An Unearthly Child was the first episode I ever watched, and thus Barbara and Ian were the first companions I knew. Other than giving a human element to the show opposite the Doctor and Susan, Ian and Barbara are just good characters. They’re interesting, they have well established motivations, personalities, and morals, and they have great chemistry with each other and the resident Gallifreyans. Ian and Barbara calm each other down, keep each other grounded, and show each other real care and affection. They’re enjoyable to watch and you really do end up rooting for them to get together. I love their dignity as well as their open-mindness. It’s argued that they teach the Doctor how to be kind and about the positive sides to humanity. 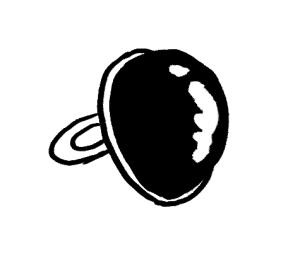 This was an alien who, when they first met him, was not only somewhat grumpy but he also claimed that the French Revolution was his favourite period in history, of all eras. Their morality and decency leave their mark on the Doctor just as he leaves his mark on them. Because they were two ordinary people who were thrown into a chaotic life and did such extraordinary things but all the time with that strong desire to get back home. They made the Doctor a better person and learnt so much from the universe and each other. William Russell and Jacqueline Hill made them so lovable with great chemistry and they’re a joy to re-visit again and again. To us they’re so relatable and very inspirational- you’d want these two remarkable people in your life! Buy it at this link. It goes out of print tonight – February the 5th, 2019 – at Midnight, EST. Get it while it’s here!